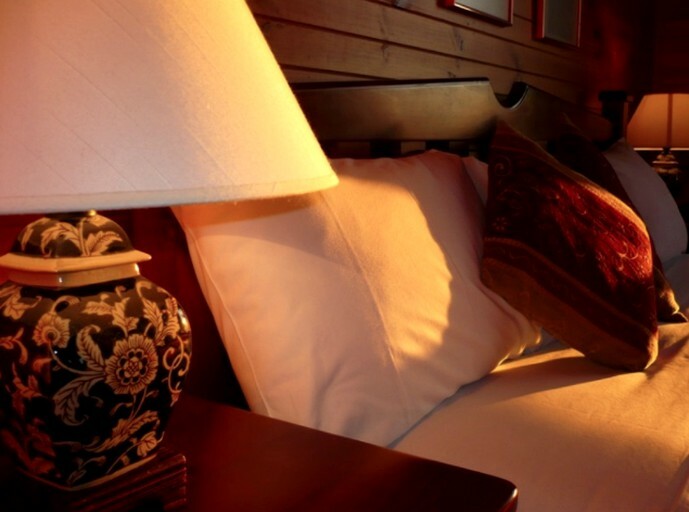 Guests should check out this romantic and cozy cabin rental for a unique couples' retreat in the Blue Mountains near Sydney, New South Wales. 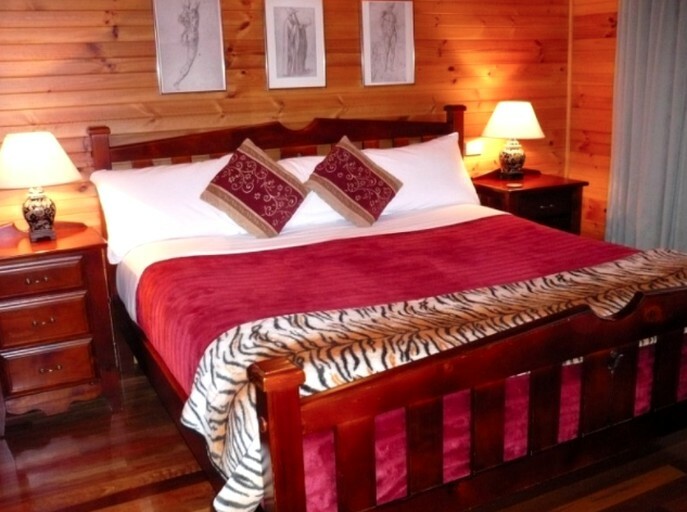 The cabin bedroom has a comfortable king-size bed with crisp linens, and there is a spacious bathroom with a double shower and a vanity. 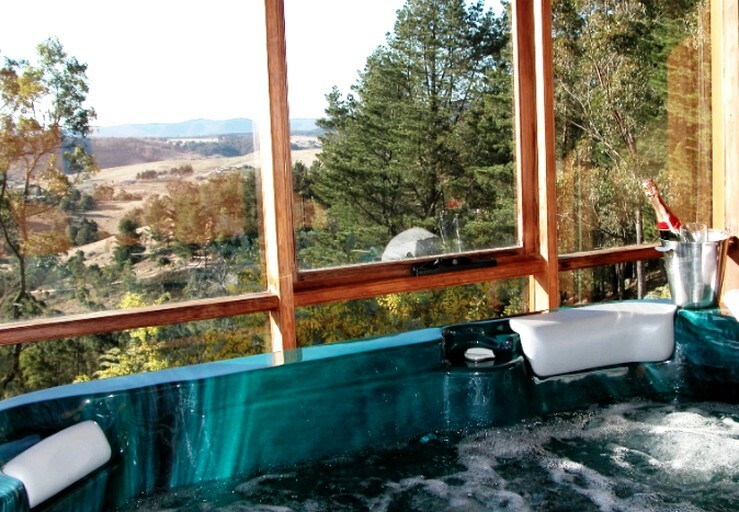 This rental features a romantic indoor hot tub spa overlooking the panoramic views, as well as a cozy open gas fireplace, and outside, there is a gas barbecue. 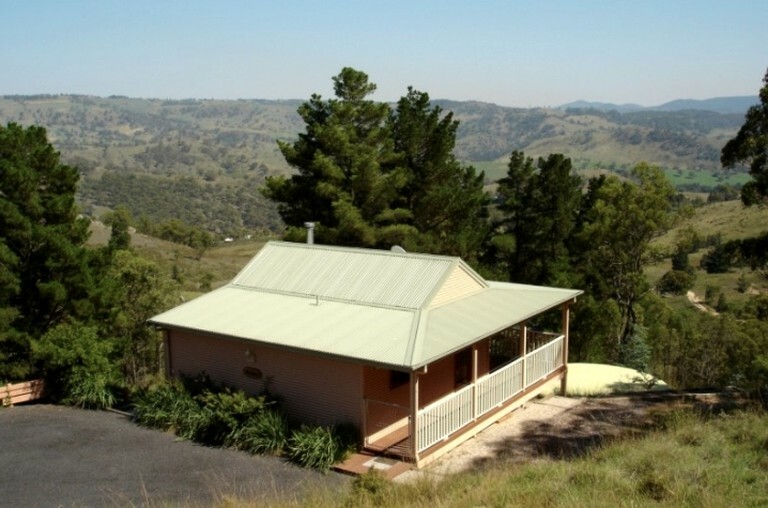 North facing and boasting spectacular views across the Kanimbla Valley, this cabin has an intimate setting, guarded by eucalyptus trees and a variety of Australian native flora. Wallabies and kangaroos are frequent afternoon visitors. Guests can relax in a private hot tub spa as they soak in the views or enjoy a therapeutic massage by the fireplace. The rental is fully self-contained with a fully-equipped kitchen and ample crockery, and cutlery. The cabin also features reverse cycle air conditioning. There is also a TV, a VCR, a DVD player, and an iPod dock, as well as a selection of books, DVDs, and CDs to choose from. Glampers will be given fluffy towels, robes, and slippers to wear during their stay. The perfect way to unwind is with an extensive range of therapies and treatments. These are available to guests at the glamping site and offers discreet and personal service in the privacy of the rental. Advance notice is recommended for all massages and treatments, to ensure that the therapist can accommodate guests' preferred time. The Blue Mountains World Heritage Area is an experientialist’s paradise. Extending over one million hectares, it protects some of the most pristine and remote wilderness in the world. 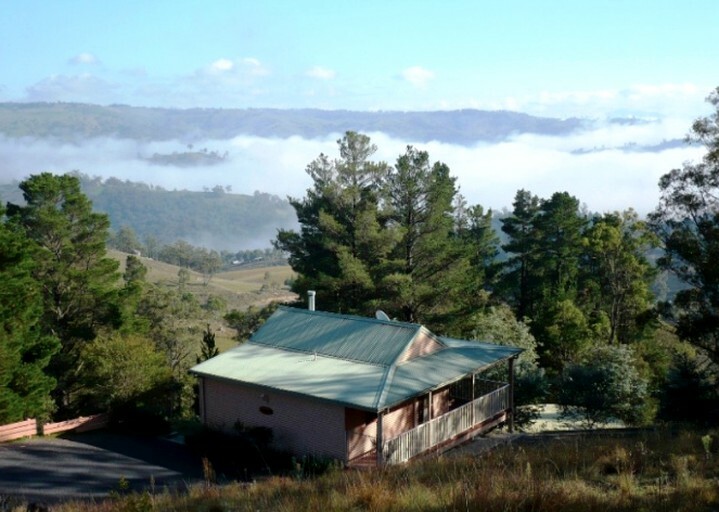 This glamping site is conveniently situated within a comfortable driving distance of the Blue Mountains attractions and some of the region's most scenic villages. Whether guests want to go bushwalking along the cliffs looking into the Grose or Jamison valleys before sinking into their hot tub, view the amazing rock formations at the Jenolan Caves or sample wines on a day trip to the Megalong Valley or Mudgee, the choice is theirs. Guests can climb the impressive boulders at Evans Crown, followed by a pub crawl at Tarana and O'Connell pubs or visit the wilderness of the Wolgan and Capertee valleys. Visitors can visit the Three Sisters in Katoomba and take a ride on the scenic railway and cable car take a picnic lunch to Pulpit Rock at Blackheath for one of the most breathtaking views of the Blue Mountains. Visitors can abandon the car and simply walk up to the trig point at the Mt Kanimbla peak for some of the most impressive inland views in the region. There are a vast number of walks and trails in the Blue Mountains with almost as many books and guides written to help navigate. Whether glampers decide to follow the path of the early explorers from Mt Victoria into the Hartley Valley or transverse one the passes from the Valley of the Waters to Wentworth Falls, walking in the Blue Mountains is a truly magnificent experience. The Neates Glen and the Grand Canyon is a classic walk that requires a moderate level of fitness and can take between two to four hours to complete. It is a five-kilometer circuit that can be accessed from Evans Lookout Road, starting at the Neates Glen picnic area and finishing at the majestic Evans Lookout. It is the quintessential Blue Mountains bush walk, including a bit of everything: panoramic views, abundant birdlife, rainforests and ferns, waterfalls and creek crossings, amazing rock formations, deep canyons and even a short tunnel. For the more athletic, the grueling hills in the Kanimbla Valley have been known to challenge even the fittest and naturally, the hot tub is the perfect place to soak those sore muscles afterward. This is an adults-only retreat for couples.